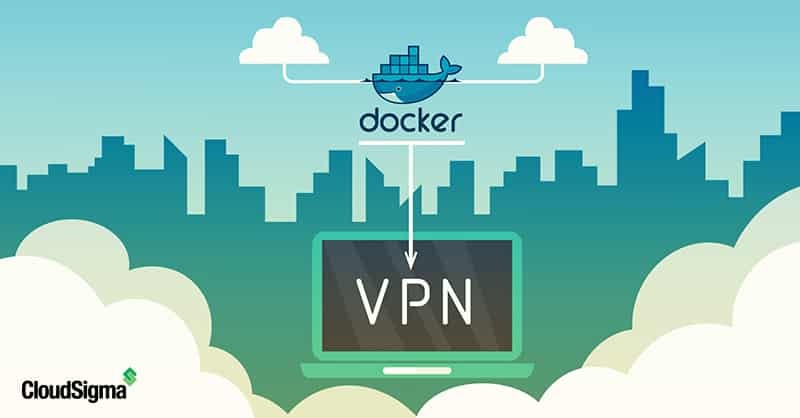 In this tutorial, I will be setting up an Open VPN server under Docker with CloudSigma. With CloudSigma’s cloud locations spread all over the globe, you can create a server in any of them and access the content from there. I am mounting the disk with Ubuntu 18.04 image available in CloudSigma’s library. Ubuntu 18.04 : Pre-installed 64bit with VirtIO drivers, superuser, Python 2.7.15, Pip 18.0, OpenSSL 1.1.0i, Cloud-init and latest updates until 2018-09-30. Updating all existing repos and packages on the machine. Now that our system is up to date, I will move towards installing Docker. For more info on Docker, please check here. Now that Docker is successfully installed, I can start with getting OpenVPN Access Server working on it. 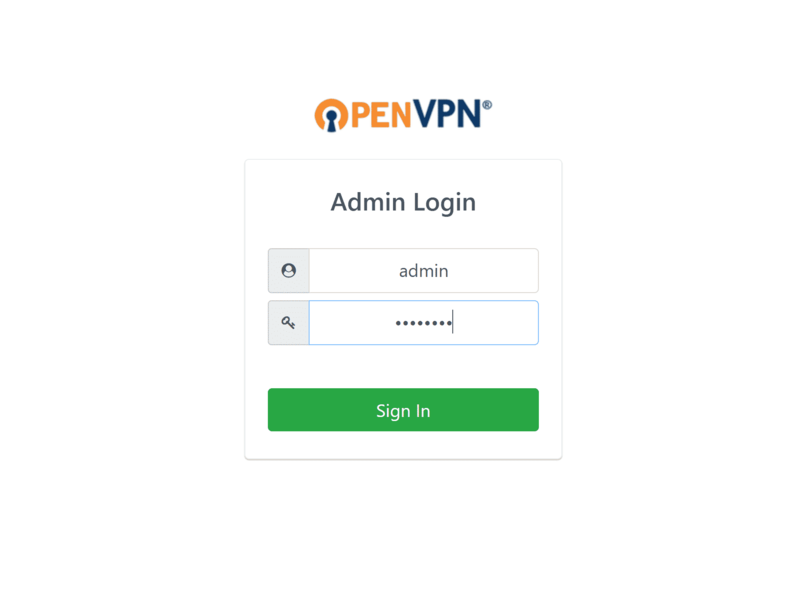 Following is the command for creating a new Docker container of OpenVPN Access Server with the specified configuration. The following commands are mentioned on Docker image’s page. I am mentioning the timezone as CET. The interface would generally be ens3 or eth0. For my system, it is ens3. Now that I have started it, I will go to the admin panel of the access server. Now that I have logged in, it asks whether I accept the EULA (End User License Agreement). Clicking on Agree and moving to the admin dashboard. 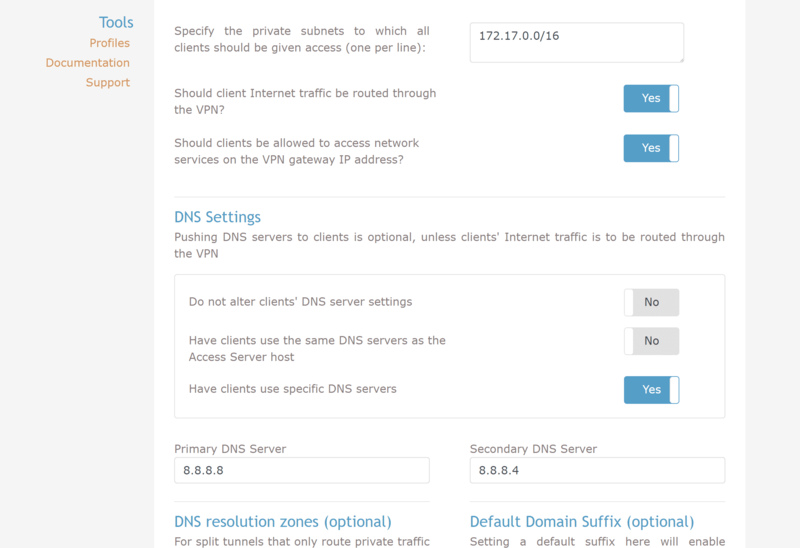 Now that our server is up and running, we would want to configure the DNS in it. For more info on Domain Name Servers (DNS), please click here. One of the fastest DNS servers is Google’s. 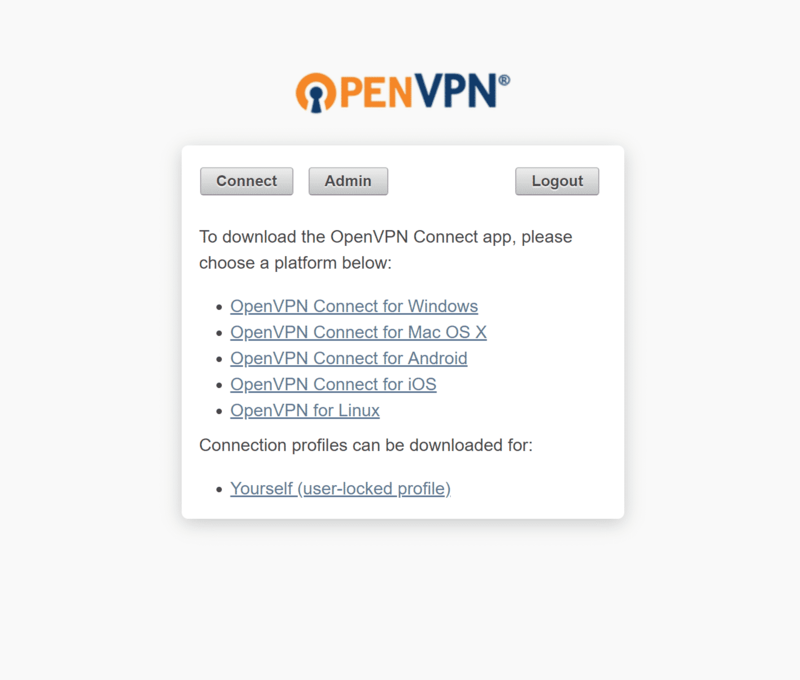 I am going to configure that in my OpenVPN Access Server, so my clients are able to roam around websites easily. Save Settings and Click on “Update Running Server.” It will update the running Server. Now that I’ve configured the server successfully, I can move towards connecting to the VPN through my system. Accessing the client UI on: https://<<YourIpAddress>>:943. Enter the admin username, password of the admin or create a new user from the admin panel’s User Management section. Once I log into it, it will give me various options for different OS. I select Windows and download the Client software. Now that it’s installed, I can start it from Start Menu or it will come automatically. 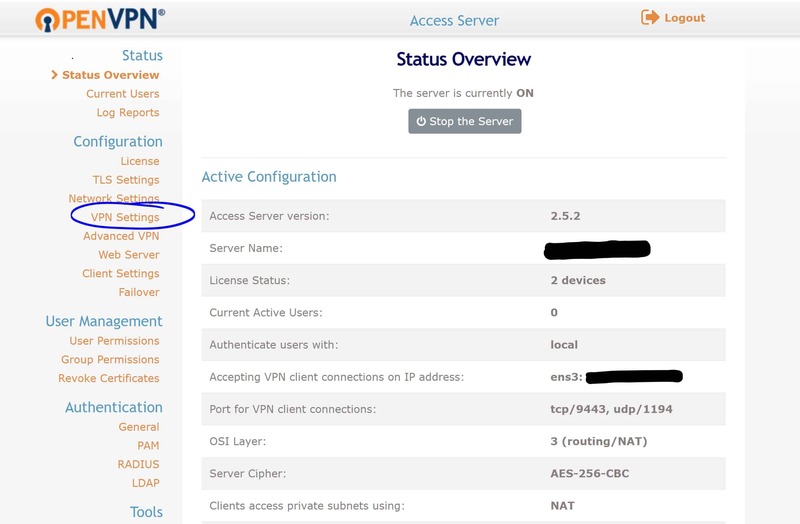 From the system tray, I can connect to the VPN using the account I set up earlier. And I am connected to the VPN. Et Voila! This is how you create a VPN server under Docker.